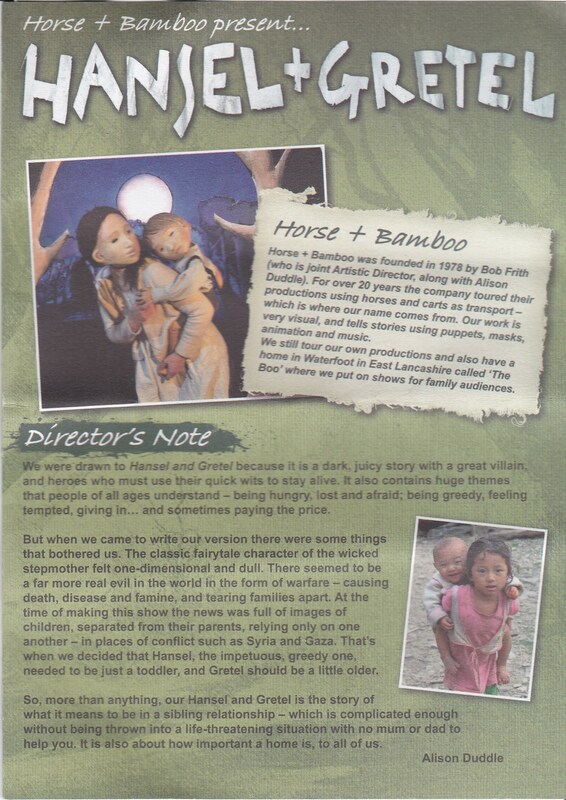 Horse & Bamboo presents Hansel & Gretel at the Montgomery Theatre. 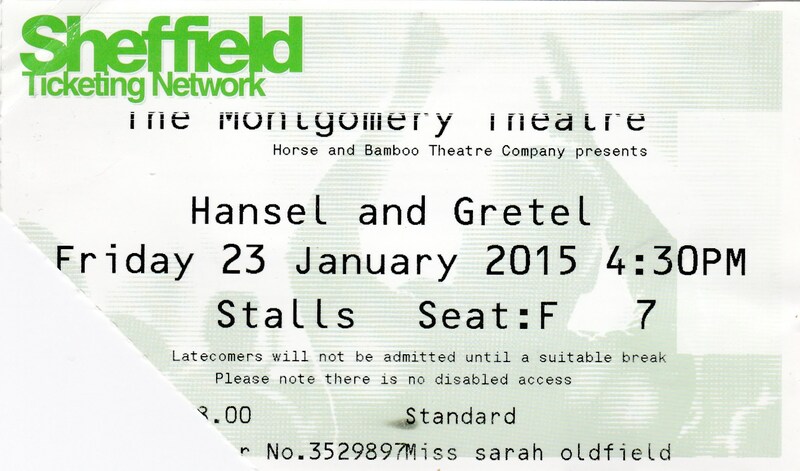 Went with Sarah Oldfield and enjoyed the production…especially the evil raven. Sarah gave me a backy on her bike (first time Id done that since childhood) (sadly stolen a few weeks later) and we went to meet Gerald Garratty and Josh Waller at the Radhuni Indian restaurant on London Road.